Every day at 4 p.m. he carries out a plastic folding chair and his cello case. Most days he plays Albinoni’s Adagio in G Minor. He does it in defiance. He does it in memoriam. He does it, despite the shells that still whiz in the air and crash into buildings all around, almost drowning out his song. Every day, for 22 days, Vedran Smajlović plays his cello on the site of an explosive blast in that left 22 civilians dead. The story captured imaginations worldwide. It captures mine. Now, known as the “Cellist of Sarajevo,” Vedran Smajlović reminds me how beauty in the midst of death, destruction, and chaos can inspire, protest, and be a light against darkness. As someone who has pursued a life in the arts, my life can feel quiet and small sometimes. But I have come to see myself as a beauty builder. And I’ve also come to learn that is no small thing. This is what I seek to do in the life of my family, community, and work. 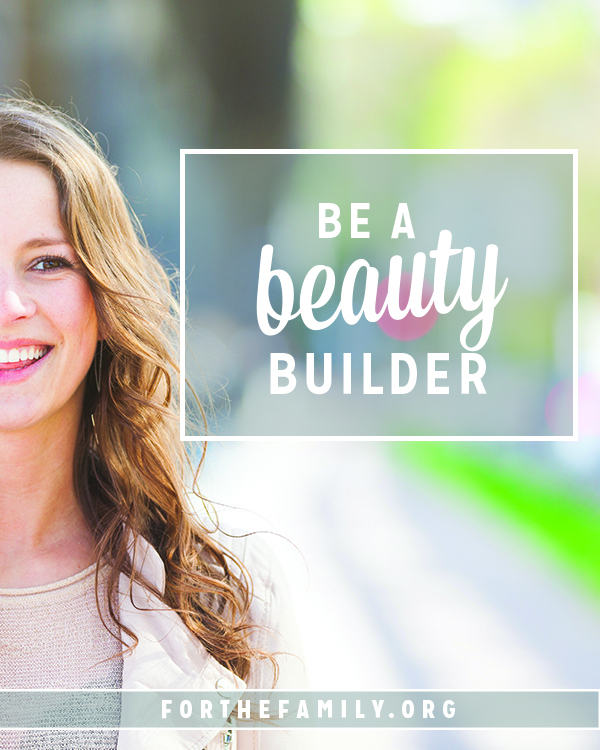 In the midst of a world filled with terrorist attacks, racial and ethnic tensions, and mass shootings, beauty building can seem to be a hopeless task. That it doesn’t matter. It starts with my family. As I raise children I work to build God’s ideals into their lives. I’m building the beauty of kindness when I teach them to share. I’m building the beauty of hospitality when we open our home to others. I’m building the beauty of respect when I teach them to honor those who are different than them. I’m building the beauty of peace when I teach them how to control their anger and direct it in appropriate ways. This sort of beauty building is hard. It is constant. It is lifelong. Sometimes it crashes into dusty rubble and the assembling must start over again, both in my life and the life of my kids. And yet, when I look around the world today I know how much it’s needed. As I build with my family I also keep on with the work of cultivating artistic beauty. And by doing so I push back against darkness, hatred, and chaos. I join God in his kingdom work of transforming this sin-stricken world into one filled with truth, goodness, and beauty on earth as in heaven. Sara Groves was inspired by the “Cellist of Sarajevo” too. And she wrote a song reminding us that we can dissent participating in darkness, and that we can instead spread light, even if doing so seem very small and insignificant. Danielle Ayers Jones is a storyteller. Whether it’s with paper and pen or behind the lens, it’s one of the things she loves to do best. Her love of all things bookish and artsy led her to earn a degree in English and Graphic Design and to work in an art museum pre-motherhood. 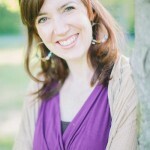 She has written for Ungrind.com, iBelieve.com, StartMarriageRight.com, Thriving Family, Clubhouse, Jr., Radiant, and Relevant. She also combines her love of writing and photography on her blog. It’s a space where she seeks to find beauty in the everyday, joy in hardship, and encouragement in unexpected places. Danielle lives in Maryland with her husband and three children.